Glaive RGB from Corsair Gaming does employ a complete redesign from the previous models and for additional customization, we get to choose from three different thumb grips in order to fit our gaming style. The mouse does weight 122 grams and is available in two different variants (with aluminum or black finish), three configurable RGB zones but also a custom PMW3367 sensor which was made in cooperation with Pixart. With professional gamers in mind, the Glaive RGB can set the sensor resolution between 100 and 16000 DPI, in increments of just 1 DPI, while the report rate is selectable from 125 Hz up to 1000. 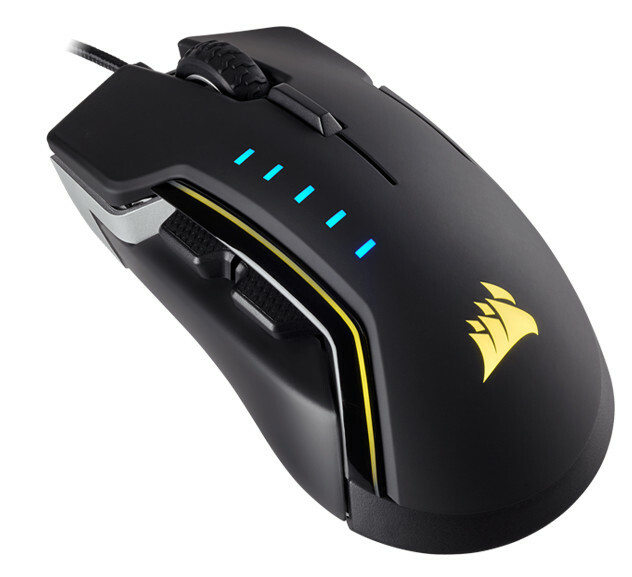 At first we would like to thank Corsair for offering us the GLAIVE RGB Gaming Mouse for testing and reviewing.